Selection of SSL certificate refers what you want to secure. Business model and online transactions decide necessity of security, privacy and trust. Get low-price SSL certificate that meets your needs. Protect a single domain to protect visitor data. Instant security at cheapest price. Improve Google Search Engine Rankings. Protect one website and all its sub-domains. Hassle-free, effortless and money saving. Protect up to Multiple domains. Validate and secure your apps and software. Tell end-users that the code is trustworthy. 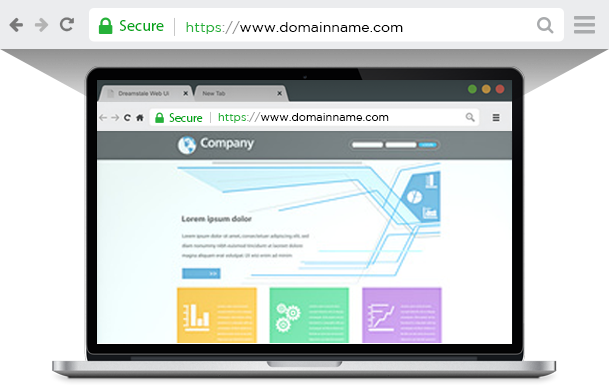 SSL Certificate purchase process is very simple, fast and secure that involves several steps to enable HTTPS to your website. Choose the right SSL as per your needs and select validity and quantity of certificate. Just submit your required information to sign up and billing & complete transaction. After making payment, you will receive verification email including configure link. Now, you need request for your certificate by submitting CSR and domain related details. CA has to follow authentication process to verify your given details; it will take few minutes or some days depending on the type of SSL certificate you have purchased. Once appraisal, certificate authority will issue your SSL certificate through email or you can get it from SafeCyberSSL dashboard. You have to install it on your desired server.